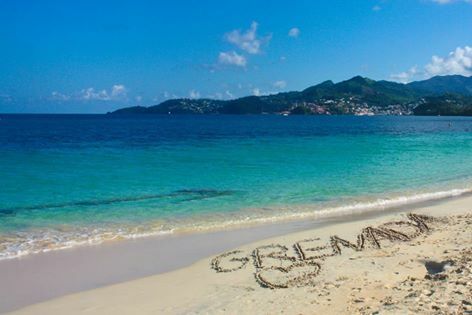 Air Canada Rouge looks to be selling some last minute seats on one of their Toronto - Grenada (GND) flights for just $286 CAD roundtrip, including taxes. Have a look on AirBNB. They're currently showing 16 listings for under $80 CAD per night in Grenada on these exact dates. 'Cynthia's Apartments' looks to be a winner, at $76/night, rated 4.5 after 19 reviews. For live discussion of this deal, or to get some amazing travel advice (about anywhere) from your 25,500 fellow passengers in Toronto, join us in the YYZ Deals Facebook Group. 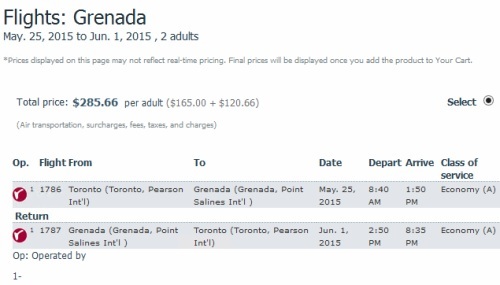 4 Responses to "Toronto to Grenada - $286 roundtrip including taxes"
Booked through flight hub, received a cancelation, called in to confirm, they rebooked, it auto canceled again, and in the end they wouldn't honour the flight and refunded the money. Hmmm, thanks for letting me know Craig. I've never seen that happen before, and I'll remember that the next time I see a similar offer. You may wish to try booking it directly at http://vacations.aircanada.com if you are still interested. (Click on the 'Flights' tab before searching).